Phana village routinely interfaces its life with a population of large long-tailed macaque, around 800 macaques living in 0.35 ha of the Don Chao Poo Forest Park. The relationship between human/monkey is established as pacific in the area (mutualism and commensalism). However, it could change to parasitism with the dramatically increased population, which has been happening for the last fifteen years. This process happened with other towns in Thailand (Malaivijitnond & Hamada, 2008). The present survey aimed describe the preliminary time budget, home-range and diet of the alpha male and a female of a sub- group in the forest of Don Chao Poo park. The study added more ecological information about the species in Phana to support the strategies and actions concerning the management of the population in the future. The increased level of human/monkey contact comes from the fragmentation of the natural habitats due to the deforestation and urban development (Gillespie & Chapman, 2008). According to the U.N. FAO (2011), 37.1% or about 18,972,000 ha of Thailand are forested. The long- tailed macaque takes advantage of the human- monkey interface, because the contact provides them large quantities of food and protection against predators, and the population has increased severely (Gumert et al., 2001; Lee & Priston,2005; Malaivijitnond & Hamada, 2008). In consequence of those processes, the synanthropic macaque established distinct relationships with humans, such as commensalism, mutualism and parasitism (Gumert et al., 2001; Lee & Priston,2005; Malaivijitnond & Hamada, 2008). Temples, religious sites, parks, eco- tourist lodges, and human settlements have been shared with human/monkey in Southeast Asia (Gumert et al., 2001; Lee and Priston, 2005; Malaivijitnond & Hamada, 2008; ). Don Chao Poo Forest Park is a religious park located 200 meters from Phana village in Thailand, where a population of around 800 long-tailed macaques lives in 25,200 ha. The park was created in 1973 (Whiting, 2007) and locals say that the monkey population has been increasing severely for the last fifteen years and some monkeys have been seen moving around the roofs in the village. The fact that contributes to the population increasing is the big quantities of food which are being offered to the animals every day as an entertainment and religious activity by the community. In 2004, 378 monkeys were counted and in 2011, 464, but the estimative was around 600 (Malaivijittnond et al., 2011). 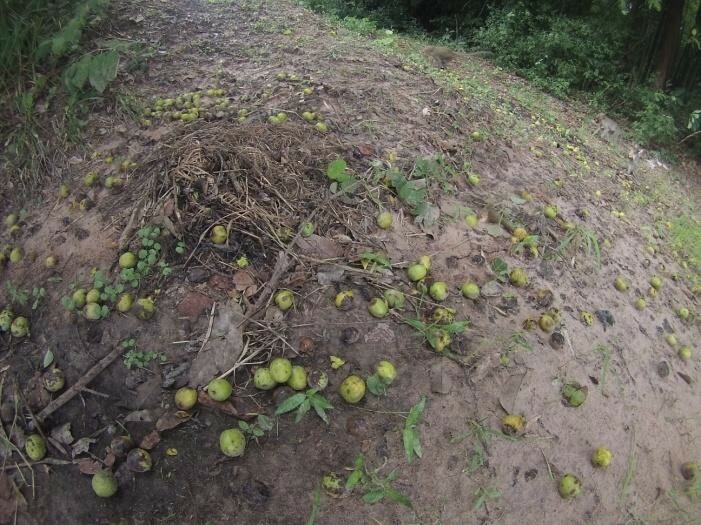 The possibility of a macaque’s invasion in Phana village rises every year. Towns in Thailand, such as Loburi and Petchaburi, have settlements shared by human/monkeys resulting in frequent conflicts (Lee & Priston, 2005). In Phana, it is seems that the population is habituated to wait for the offered food on the edge of the forest and they could not survive anymore without this relationship with humans. Don Chao Poo Research Centre – Phana Macaque project was created in 2012 to study the macaque population in the park to develop strategies and support the future actions to avoid / minimize the environmental / economic damage for the community and the species of the area. The monitoring of the time budget, home-range and diet of the macaques provides the ecological information to answer some crucial questions to indicate if the animals are using all the territory of the park, what they are eating, if they eat more offered food than natural food, how many hours they spend in the forest and in the edge and their daily activity. 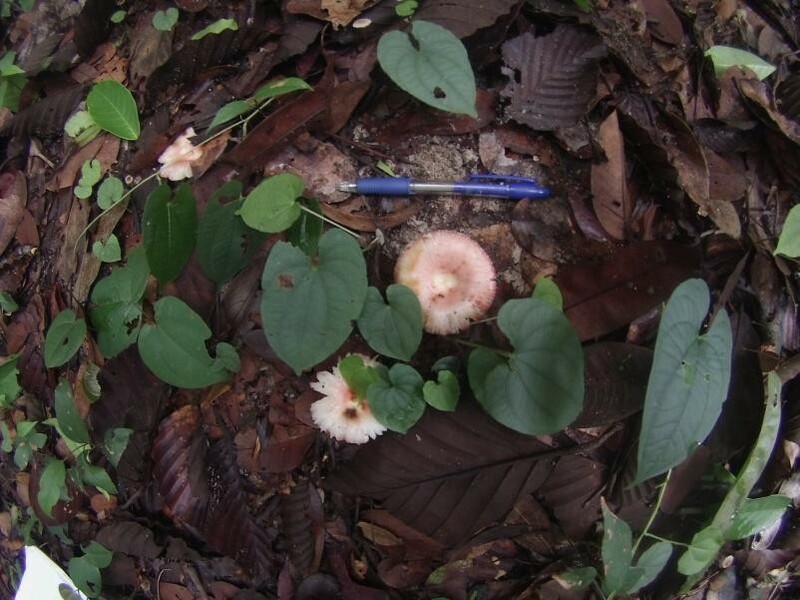 The present survey aimed to describe the standard behavior, home-range, and diet of a sub-group during two weeks in Don Chao Poo Forest Park to add more ecological information of the species in the area and support the environmental management proposed by the Don Chao Poo Research Centre. However, the survey is preliminary due to the short period of the sampling. The forest is located in the Don Chao Poo Forest Park, Phana district, Amnat Charoen Province, Thailand (UTM coordinates: 48P 484925 mE/1732318 mN). Phana is a village with a population about 2,000 people. The park is 200m from the village. The area of forest is approximately 0.35 km² of primary and secondary forest. The macaque population in Phana is divided supposedly into three or four sub-populations. Two of them spend most of the daily activity on the edge of the forest, where they wait for offered food, and the other sub-group stay more inside the forest. A group was chosen taking into account the mostly daily activity in the forest. The alpha males were chosen to be monitored due to the good representation of the species and the other group members following him. The time budget was monitoring from the first female (with an infant) sighted next to the alpha male monitored to provide the comparison between the genders later. a.m. to 6:00 p.m.). Six days were totally filled. The focus of the project was measuring the standard behaviour of alpha males and adult females, which one of them were monitored at the same time to double the field data. The behaviours considered are in annex (annex 1). The criteria of individual activities were well known by the researcher before. The time spent in the forest and at the antropic area, time of locomotion on the ground, trees or buildings were measured as well. The Garmin GPS eTrex was used marking a point every 30 minutes when the group was being followed. The data were plotted on Google Earth and the respective treatments were done. The alimentary items sighted being eaten by the alpha male and the female, who were been monitored, were obtained and identified later. The proper procedures were not done due to the sampling effort (57hours). 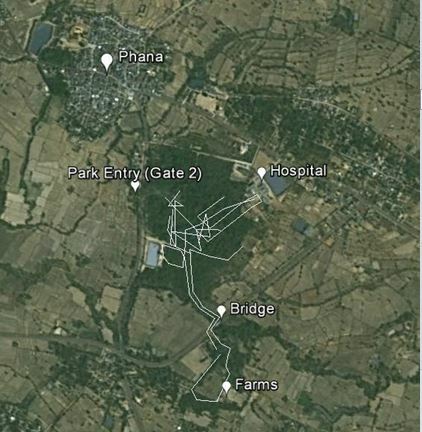 The long-tailed macaque population in Don Chao Poo Forest Park was observed divided into four sub-populations, of which two spent their daily activity mostly on the edge/park entry and the other two around the whole park. The group chosen was composed of around 128 monkeys, which had three alpha males with particular characteristics (first alpha male: whiter than all monkeys, called White / second alpha male: mark below his left eye, called Cry/ third alpha male: two swirls on his back head, called Tornado). The sub-population was called WCT, and it was composed of 7 males (of which three were those alpha), 52 females, 22 infants, 22 juveniles (second generation), 15 juveniles/sub-adults (first generation). The group was composed of the alpha males and females on the nucleus, the juveniles or sub-adults around them and the other males surrounding the whole formation. The group was sighted inside the forest, at the edge, at the bridge, at the Chao Poo shrine, at the Buddha path, at Phana Hospital and around the farms. However the marks from the GPS show the home-range only at the middle park to the south area (fig. 1). CLICK on figures, charts and tables to see an enlarged, clearer view of the image. Seven feeding sites were identified during two weeks of monitoring. The red marks with a ´´letter“ are the GPS mark of the WCT group each 30 minutes. Each letter corresponds to a different day. 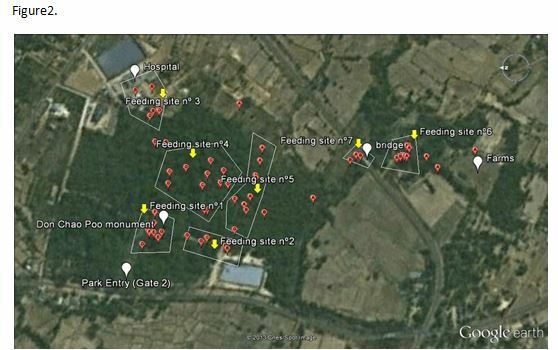 The data show that they use the feeding sites nº 1, 2, 3 and 7 to wait for offered food and grooming with each other. The interactions happens more in those sites, such as affiliative, ludic, agonistic and sexual interactions. The sites º 1 and 2 were observed being shared with more than one sub-population. 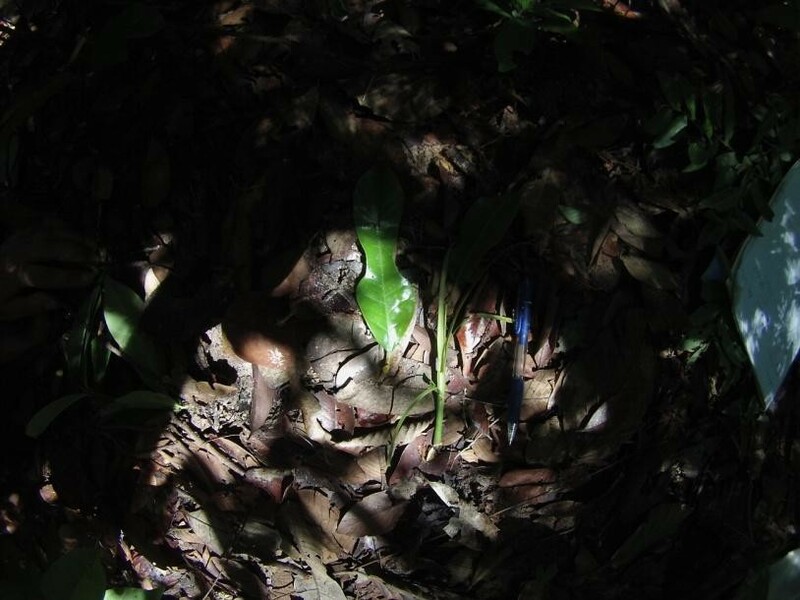 The feeding sites nº 4 and 5 were being used to translocate to the antropic sites, to eat mushrooms, foraging for insects, eat leaves/fruits/stalks and sleeping. The feeding site nº 6 was used to sleep and to eat fruits, of which was observed mango trees, and three other fruit trees. The monitoring was done with the total of 684 behaviours marked, in 57 hours (chart 1). 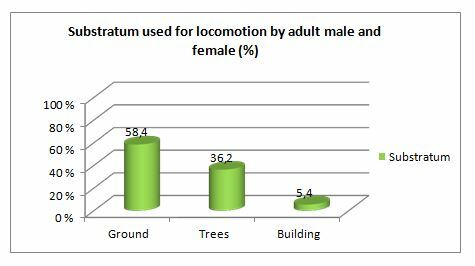 We could see that the behaviour of locomotion, eating and being stopped are the behaviours most frequent by the adult male/female and they have nearly the same results. Interacting was the second behaviour most frequent and resting was the third. The behaviour of foraging (looking for a food) surprisingly is 3.7%. Those percentages could suggest that during the two weeks they moved among the feeding sites eventually looking for insects on the trajectory, though the main focus of the locomotion was to arrive on a specific feeding site, commonly to antropic areas. Juveniles and sub-adults were sighted foraging more than the alpha males. Mushrooms were eaten frequently at the sites nº 4 and 5. One adult male, adult female and juvenile were sighted eating soil (soil from a termite mound). 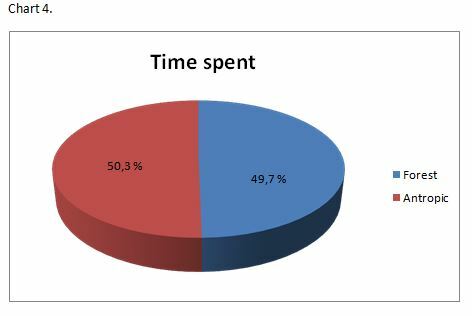 The comparison of the time budget between the alpha male and adult female during those two weeks shows that the female was more active than males (chart 2). They moved more, foraged more and ate more. On the other hand the males spent more than double of the time stopped and resting compared with females. Those differences could be explained due to the distinct ecological functions of the gender, which the males save energy to defend the offspring and the females forage and eat more to provide good health for the progeny (embryo developing and breastfeeding). The locomotion was mostly on the ground (antropic and into the forest was considered) and less on buildings for this group during the two weeks (chart 3). The budget time spent was almost equally in the forest and at the antropic areas (chart 4). 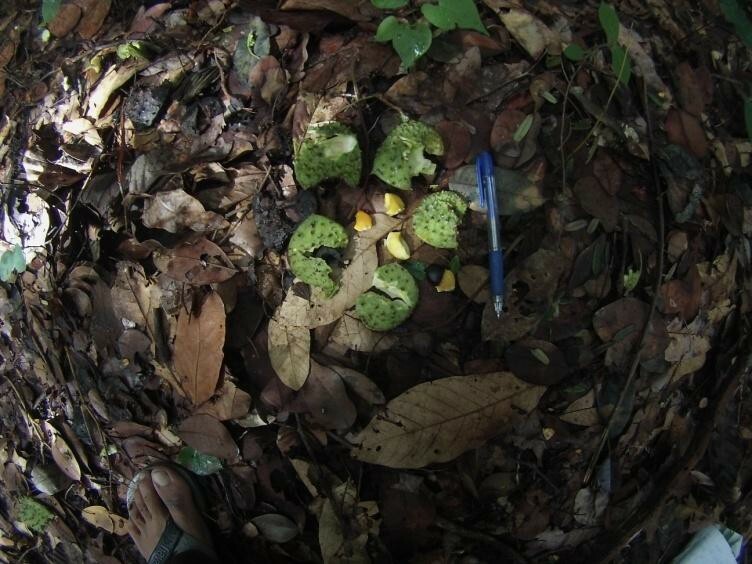 The total was 57 hours of monitoring, of which 28.3 hours was in the forest and 28.7 hours at the antropic areas. 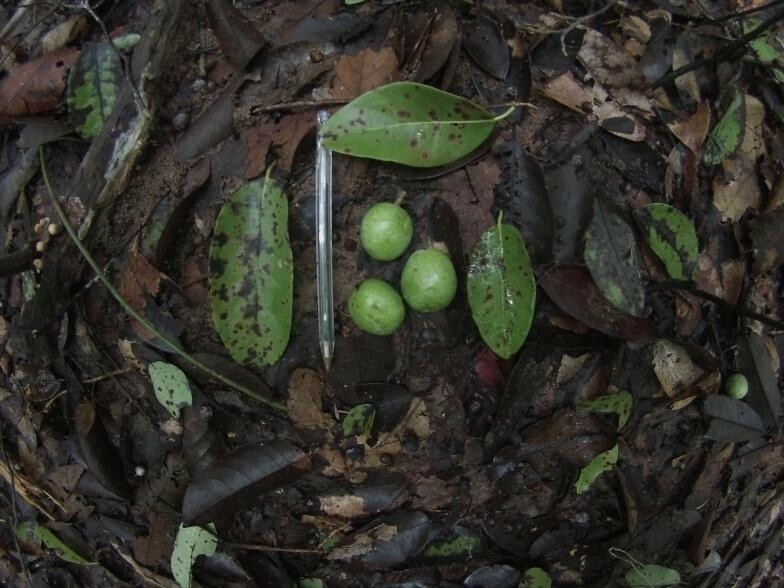 The natural food eaten by the macaques was composed mostly of fruits, which was eight types of fruit (including Dalbergia dongnaiensis, Spondias pinnata, Ellipanthus tomentosus, Microcos tomentosa) five species of leaves and stalks (including grass), two species of mushroom, ant, bug, cicada . The offered food was: beans, nuts, biscuits and fruits. 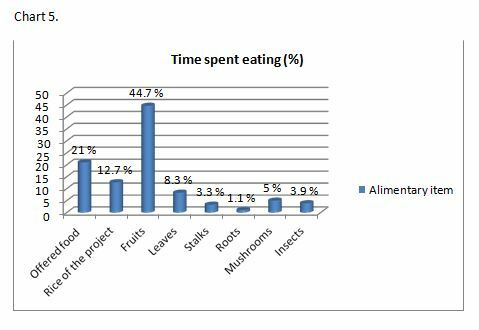 The time spent eating the alimentary items were recorded (chart 5). 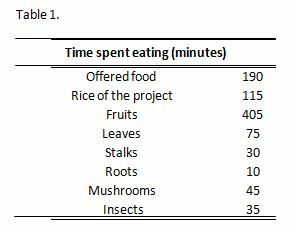 The diet of WCT was mostly provided from the forest 66.3%, 600 minutes (fruits, leaves, stalks, roots, mushrooms, and insects) compared to human provisioning 33.7%, 305 minutes (offered food and rice from the project. The comparison of the results of this preliminary research with the other references and the identification of all the species of plants and mushrooms were not realized due to the short time available for the researcher. by humans in those two weeks of July 2013. It is possible that alimentary search of the forest fragment does not support all the population of long-tailed macaques. 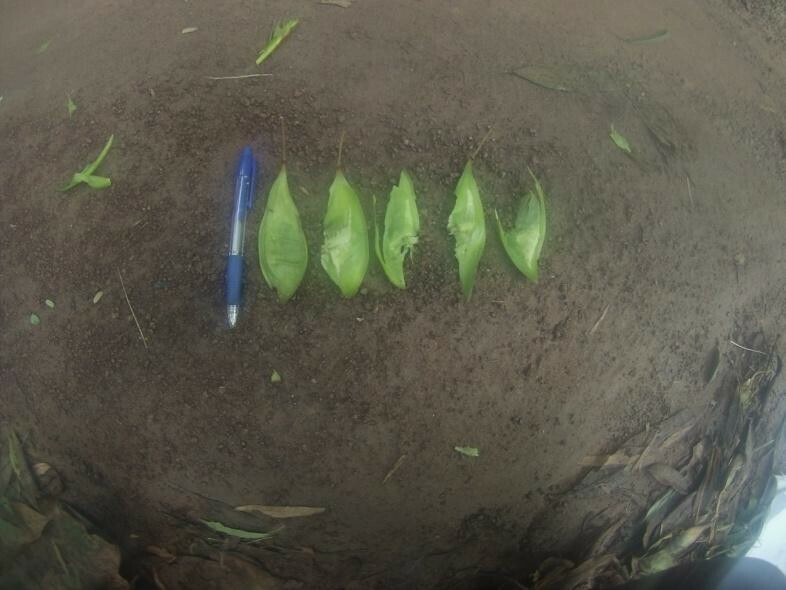 Therefore the WCT sub-population is using the fragments surrounding the park to complement their diet. However, more monitoring must be done with this population and the others to add data and provide consistent results and conclusion. TR Gillespie T.R. and Chapman C.A. – Forest fragmentation, the decline of an endangered primate, and changes in host–parasite interactions relative to an unfragmented forest. American Journal of Primatology, 2008. Gumert M. D., Fuentes A. and Jones-Engel L., 2001. Monkey on Edge. Cambridge University Press, 1:(3-83), 2:(99-183). Lee P.C. and Priston N.E.C., 2005. Human attitudes to primates: Perceptions of pests, conflict and consequences for primate conservation. In: Paterson JD, Wallis J, editors. Commensalism and conflict: The human-primate interface: American Society of Primatology. pp. 1–23. Malaivijitnond S. and Hamada Y., 2008. Current situation and status of long-tailed macaques (Macaca fascicularis) in Thailand. In: The Natural History Journal of Chulalongkorn University 8(2): 185-204. Malaivijitnond S., Hamada Y., Gomuttapong S., Asawanuchit S., Kazuya Y., Shunpei F., Hiroki M., Sachiko O., 2001. 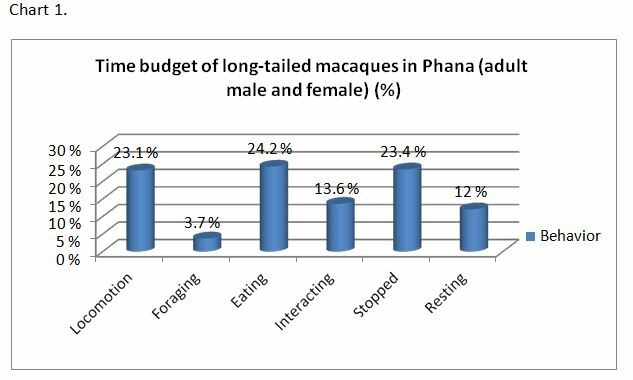 Report on Monkey Survey at Phana. Report at Don Chao Poo Research Centre data bank. Peres C. A., 1999. General guidelines for standardizing line-transect surveys of tropical forest Primates.In: Neotropical Primates 7(1):11-16. Whiting L., 2007. Looking for Mr Rin. Falling Rain Publications, 21: 318.